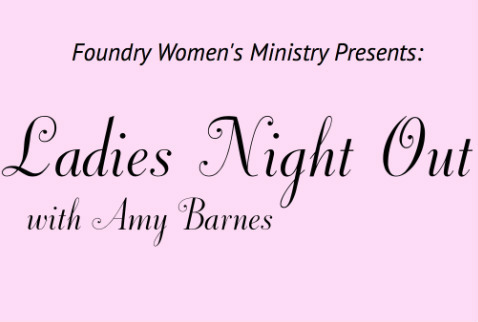 Time to get dressed up and get pampered, at our "Ladies Night Out" with comedian, Amy Barnes on Saturday, May 11th at 6:00pm. Get your tickets today. Cost is just $20/person and dinner is included and served by our very own Foundry Men! This will be a great night of food, friends and lots of laughs!